Prevention goes a long way in caring for Nubuck. Nubuck lends a wide variety of accessories, from boots, moccasins, sandals and dress shoes to Western-style jackets, a rugged but subdued style. Unlike regular leather, Nubuck features a buffed or sanded surface, giving it a gentler, velvet-like texture. While this makes for a softer quality, it also makes Nubuck more susceptible to wear and tear, which heightens the need for regular care. With just a little maintenance, your Nubuck will last through the years, even as trends come and go. 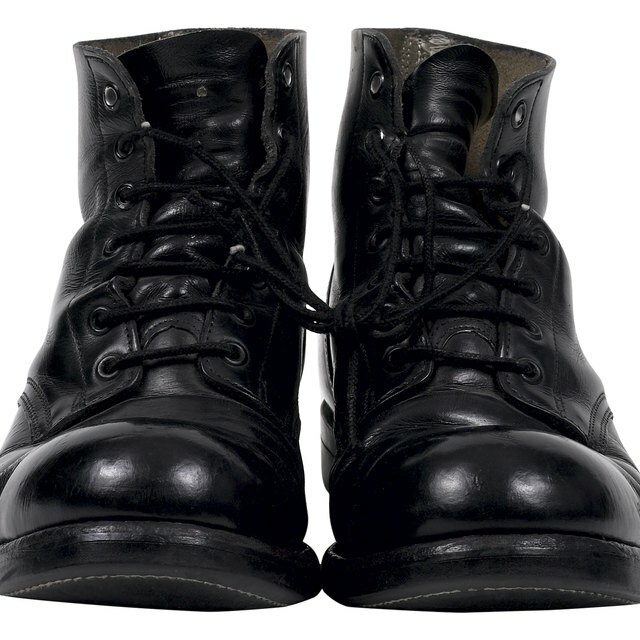 Apply a light coat of silicone-based Nubuck protector spray to waterproof and stain-proof clean, newly purchased Nubuck. As a general rule, mist on about two or three light coats and refresh the coating once a year, cleaning the Nubuck before application. Brush your Nubuck shoes or garment gently with a plastic-tipped or rubber-tipped brush or a Nubuck brush. Work in one direction against the grain to restore the material's velvety nap, which flattens with regular wear. You should brush your Nubuck every time your wear it. If you have oiled Nubuck, occasionally brush in a small dab of Nubuck conditioner as the leather becomes rough or dry. Rub out stains, dirt and smudges carefully with a rubber eraser. After rubbing the stain, brush the Nubuck gently with a plastic-tipped or rubber-tipped brush or a Nubuck brush. Apply a pinch of cornstarch to oil-based stains and allow the Nubuck to rest overnight -- this pulls the oil out of the leather. For heavy-duty, dried-on stains, fold a bit of 600-grit sandpaper and rub the stain out with a back-and-forth motion. Wipe away dust and restore the Nubuck's nap by wiping it firmly and briskly with a clean, soft cloth. Repeat the process as necessary to remove the stain. Always read and follow any warnings or instructions provided by the manufacturer of Nubuck care products, such as Nubuck protector spray. Thoroughly ventilate the area when applying chemical sprays. 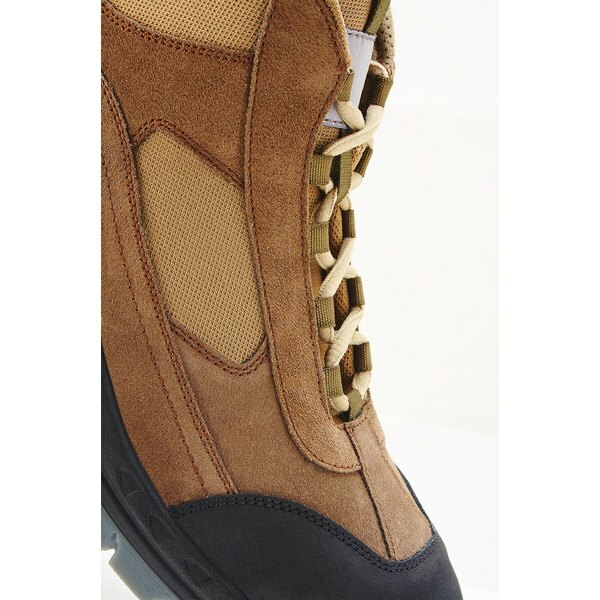 To prevent damage, never brush your Nubuck shoes or garments with a wire brush. Likewise, avoid applying shoe polish or liquid leather cleaners to this material. Can You Put Scotch Guard on Suede Boots?